What digital legacy are we leaving behind for people to see? I don’t imagine this is the first time society has dealt with this kind of situation. In the time of actual gold bars and paper money, people also passed their financial legacy in physical form and from hand to hand. Once banking institutions started to house money and issue statements, then the trust needed to be handed over rather than the actual money. Over the years, laws have been established that dictate who may inherit your accounts and under what circumstances. Hopefully one day we will have the same laws in place for digital assets, but today we do not. A good example is Facebook, who made the news in February 2014 because they released their 10-year A Look Back videos, where some families of deceased members wanted access to those videos. It brought into question what information family should or should not have access to. If a user signed a privacy agreement then the online provider is obligated foremost to adhere to that agreement, even in the user’s death. After being inundated by requests, Facebook is now releasing the look back videos but at the same privacy levels previously stipulated by the user. What happens with legacy accounts today? If an executor has a user’s login information, they may sign in on their behalf. Caveat: some service’s terms and conditions that say that only the actual user is permitted to sign in with their account information so a second person using their login breaches the contract and is actually illegal. For other services, family members are entitled to the information, especially in the case of minors. Gmail – FFE can apply to Google for access to an account of a deceased. Google will make an assessment to determine if access is granted. Hotmail – FFE can apply to Microsoft for a copy of the deceased email on discs. They will not give out passwords or login information. Google+ – FFE can apply to Google for access to an account of a deceased. Google will make an assessment to determine if access is granted. Tumblr – Accounts will be terminated and deleted. Password will not be provided. Any reblogged content will remain in the system. Instagram – The account will be closed. They will not provide login information. MySpace – Account will be cancelled and deleted. LinkedIn – FFE can request that the account be closed. YouTube – Allows the FFE or power of attorney control of the account and all of the content. Twitter – Account will be deleted. If left inactive, account will not be deleted but stands as an ‘unofficial’ memorialization. eBay – Account will be closed and all customer details will be deleted from the eBay database. PayPal – Account will be closed. If there is money in the account a cheque will be issued in the name of the account holder. Match.com – Will block the account of a user who has died so that it is no longer visible on the site. The FFE or power of attorney will need to contact Match.com to retrieve account information. eHarmony – Account will be closed. What can you do today to protect your identity tomorrow? 1. Give someone your passwords. Put these somewhere safe in your home or with someone you trust. If you have a will, you can include them there. Or give them to a trusted family member in a sealed envelope. Regardless of where you store them, they should be where they can be found and used later, otherwise access to those accounts can be lost permanently. Though some sites currently prohibit access to your account by someone else, these policies could change. 2. Put your intentions in your will. You should list your online accounts and what the executor should do in each case. Examples: close the account immediately, access the contents and then close, or memorialize. 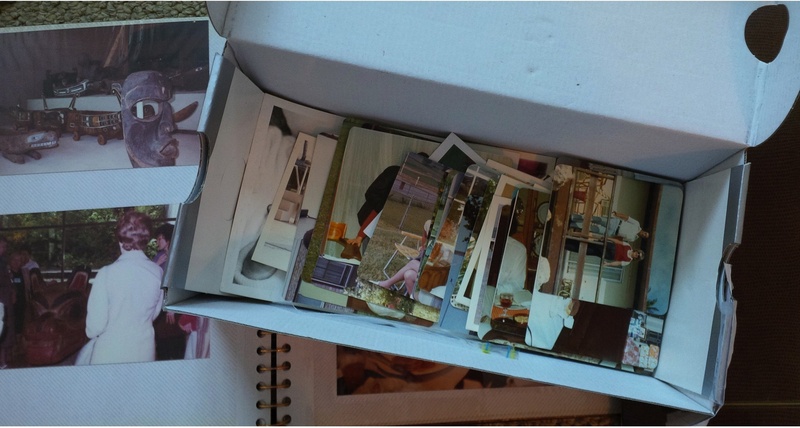 Think of it as if you owned a personal diary, a photo album and a piece of artwork. You may dictate that you want the diary disposed of without opening, the album passed to one family member and the artwork hung in a public place. While I don’t have experience with any of these, a search reveals plenty of online options to protect and execute on your instructions for your online accounts. A few I turned up were Legacy Locker, Afternote or Cirrus Legacy. In some cases, a single button will delete or grant access to accounts. Though many people, including myself, do not enjoy discussing topics related to death, this is an important topic of which everyone should be aware. Your digital legacy is one of your assets so you should make plans around future ownership, as you would anything else you owned. Digital legacy is important to me, I live my life online and its a real concern as to what is going to happen to all of my accounts and information I have stored. After reading your article I checked out http://www.Cirruslegacy.com and opened an account with them, thanks!